If you’re seeking a special gift for someone you love or wanting to finish a look, there’s really nothing like a stunning diamond or pearl bracelet. They are versatile, never go out of style, and will complement the woman who wears them at every stage of her life. Many brides choose pearl bracelets for wedding accessories for their shimmering lustre and feminine style, while a diamond bracelet makes an incomparable anniversary or birthday gift. 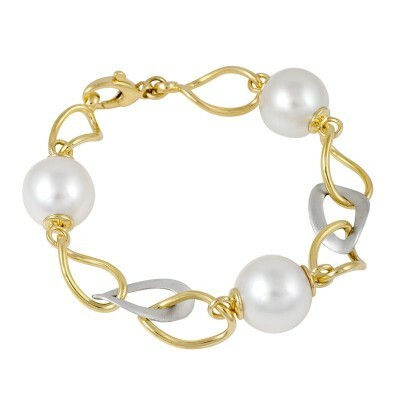 Our designs are simply the most beautiful diamond and pearl bracelets online. We offer varying styles made with the highest quality pearls, white and pink diamonds and precious gemstones set into gold, white gold and silver designs. If you’re looking for a simple piece, we offer a beautiful range of quality pearl strand bracelets, some with distinctive design highlights. 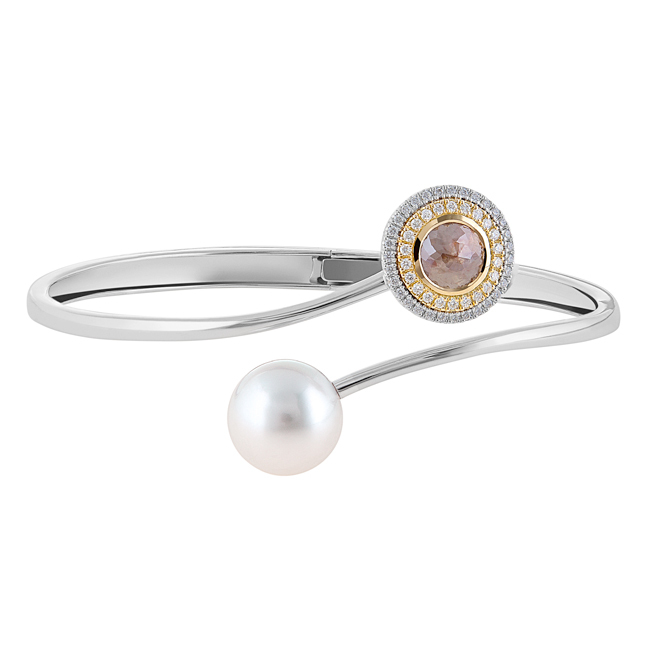 For modern tastes choose a gorgeous gold, rose or white gold bangle featuring a single pearl alongside sparkling white or pink diamonds, or an easy-to-wear neoprene bracelet with a perfect Broome pearl. The only thing more special than a Jewels of the Kimberley pearl or diamond bracelet is one that has been designed especially for you. 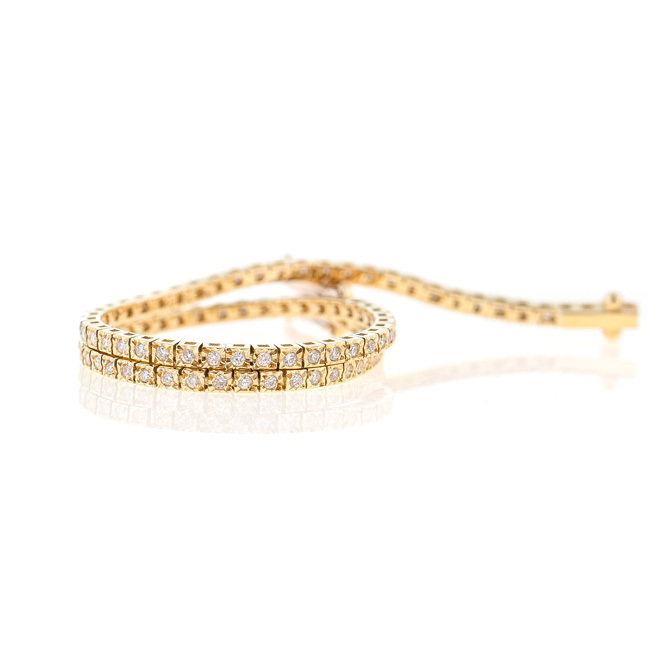 Talk to us today about how our in-house diamond specialists can masterfully design and create your own bespoke bracelet. 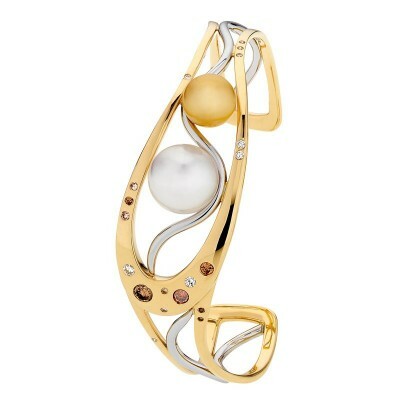 We can create pink diamond, yellow diamond or champagne diamond designs; design a unique South Sea pearl bracelet; or keep it classic with a pearl strand bracelet or a row of shining white diamonds. To assist in the bespoke design process Jewels of the Kimberley uses state of the art computer aided design software (CAD) to render your vision, prior to being physically made. Whether you’re seeking a pearl bracelet for your wedding or a distinctive pink diamond, yellow diamond or champagne diamond design, contact our team today to arrange your private consult.